INDIANAPOLIS, IN (August 11, 2009) – High-tech swimsuits that have been linked to record performances at all levels of competition the past couple of years have been banned for high school competition, effective immediately. The National Federation of State High School Associations (NFHS) Swimming and Diving Rules Committee approved changes to Rule 3-2-2 that will make the high-tech swimsuit no longer a legal suit for swimmers at the high school level. The committee’s recommendations were subsequently approved by the NFHS Board of Directors. Effective immediately, swimmers shall be limited to one swimsuit, which shall be constructed of a woven/knit textile material, permeable to water and air, constructed so as not to aid in buoyancy, and shall not contain zippers or other fastening systems. In addition, the suit shall be constructed so that the style/shape for males shall not extend above the waist or below the top of the kneecap and for females shall not extend beyond the shoulders or below the top of the kneecap, and it shall not cover the neck. “These high-tech suits had fundamentally altered the sport and become more similar to equipment, rather than a uniform,” said Becky Oakes, NFHS assistant director and liaison to the Swimming and Diving Rules Committee. “The rules of swimming have always prohibited the use or wearing of items that would aid in the swimmer’s speed and/or buoyancy. The technical suits and styles had evolved to a point where there was little, if any, compliance with these basic rules,” Oakes said. The committee discussed the high-tech swimsuit issue at its meeting in March, but did not have enough factual information to take action at that time. The following link to the NFHS Web site contains complete information on the new swimsuit requirements, as well as the penalties for violation of the uniform rule http://www.nfhs.org/core/contentmanager/uploads/Swimming%20&%20Diving%20Rule%20Change%203-3-2.pdf . Swimming/diving ranks eighth in popularity for girls with 147,197 participants in 6,766 schools, according to the NFHS 2007-08 High School Athletics Participation Survey. The sport ranks 10th among boys sports with 111,896 participants in 6,428 schools. 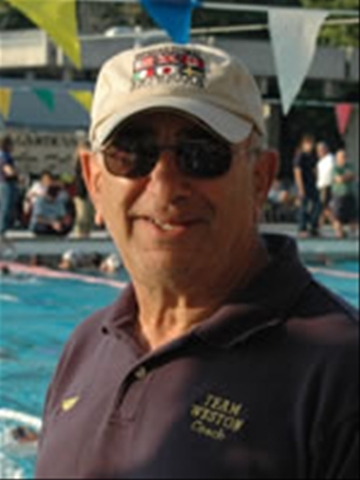 Coach Raphael of the Midtown Athletic Club in Weston Florida, won the silver medal in the 50 meter freestyle at the U.S. Masters National Championships held at the Indiana University Aquatic Center. Raphael is the head coach of the Midtown Athletic Club(Formerly Team Weston) Swim Team. Well done my friend……. “The Big Deal About Swimsuits”. by John Leonard, Executive Director, American Swimming Coaches Association. Over the past 18 months, the swimming world has been a frenzy of controversy over the emergence of technology in swimsuits. At the recent World Championships in Rome, the constant and overwhelming refrain about suits, echoed the volume and intensity of the last time we were in Rome for a World Championships,when the topic was doping….drugs distorting our sport…in 1994. Fifteen years later, the emotional topic was the new high tech suits that have swept through the sport from the World Championship level down to the local park district championships in the summer league. The parallels were impossible to miss. FINA, in an unprecedented move at its Congress in Rome, banned the use of all “non-textile” materials from suits beginning in 2010, and limited the coverage of the body to “knees to navel for men” and “knees to shoulder straps” for women. 168 nations voted in favor of the restrictions, against a mere 6 in opposition. (who apparently did not understand the word “textile”) This in the face of strong opposition to the move by the sitting President and Executive Director of the FINA organization. Amazing and never seen before. The USA delegation initiated the restrictions and led the opposition. Why such a strong reaction in opposition to the existing plastic and rubber suits? Its a valid question that requires a thoughtful answer. Here it is. The answer revolves around two words, with of course, a considerable amount of “side data” that adds to the intensity of the discussion and the strength of the resolution to end the problem worldwide. Those two words are “Maximizing” and “Enhancing”. Good Goggles allow the athlete to see the turns, see their competitors, and comfortably compete. (to say nothing of allow them to train hard for hours….impossible in the chlorine pool without goggles…in the old days, yardage and performance was a fraction of what it is today.) Goggles Maximize the opportunity of the athlete to work hard. Evolution in coaching techniques in training and biomechanics allow the athletes to Maximize their ability to benefit from their time in the sport. Swimsuits, up until approximately the year 2000, and certainly until early 2008, were designed to maximize the opportunity of the athletes to go fast….the manufacturers designed suits to “get out of the way of the water”. Less suit, less friction with the water, less drag, tighter fit, and better materials MAXIMIZED the ability of the athlete to perform to their highest earned level. Beginning in 2008, manufacturers took advantage (and must be applauded for doing so, within the existing rules, which were close to non-existent) of the idea of designing suits to ENHANCE the ability of the athlete to swim faster. A line had been crossed. Designed suits incorporated plastics, rubberized material and new design criteria, to enhance the ability of the athlete to be buoyant in the suits (riding higher makes you faster), wrapped more tightly (compressing the “giggly parts” makes you MUCH faster) and shed water from the plastics and rubber materials much more effectively, thereby reducing the drag of the suits remarkably. Since February 2008, 158 world records have been set by elite athletes. Their ability to perform has moved from being “maximized” by their swimsuits, to being “enhanced” by their swimsuits. This rate of improvement is absolutely farsical in the historical context of over 100 years of our sport. At the world championships, new world records were receiving polite applause akin to the “golf clap” for a good shot, rather than the historical roars of appreciation that a swimming crowd used to provide when a human barrier went down, as it infrequently did, by great athletes at the peak of their power. How does this translate down to the local pool? Pretty simple. The manufacturers don’t make any money by selling suits to the elite athlete. They give the suits away to them. They count on age group swimmers watching the “big guys” and wanting the same suits and equipment. And lo and behold, the same miraculous benefits accrue to 12 year old Sam and Samantha when they put on the “magic suits” in their local championships. The time drops are miraculous, the smiles are, literally, “priceless” and child, mom and dad are all happy. Wait a second. That suit just ripped. wow. How did that happen? How much did it cost? Wow! You paid $500 for a suit that Sam just put his foot through, rendering it a $500 broken garbage bag? Uh-oh., well, honey, get him another one….we can’t have Joe Jones’s son Pete beat him in the 200 free tomorrow. Teeth Grit. This is a kids sport? We now have $1000 in suits so far. And of course, all those magic benefits only last 7-15 swims, so good for maybe 2-3 meets, unless its a championship and your child swims 6 events and makes finals in all events…in which case its $500 a meet. Lets see, $500 a meet, we go to 2 meets a month, 10 months of the year….Honey, its gonna cost us $10,000 Just for Samantha’s suits this year! Well, the solution is simple….just wear the suits for the championship meet and wear your regular suit the rest of the time. OK. Good. But, Samantha’s 58.5 100 free with the magic suit on, just became a 1:02 100 free with the old suit on. Smiles gone. Gone. From Samantha, from Mom. From Dad. Oh well. And of course, there are some other objections as well. First, the magic suit deal is like paying for your child to have instant improvement. Is that what you want your child to learn from the sport? Or do you want them to learn to persevere, EARN improvement with hard work, attention to detail, paying attention to the coach and, shall we say it again…”Working Hard”. Or do you want them to learn that you can always “pay your way” with cash to what you want? “Earn it, or buy it”. Which do you want to teach? Answer carefully, parents. Second, the suit does not affect everyone the same. The thin, fit swimmer will benefit marginally by it. The overweight swimmer will swim like a young seal in it. Spending the same $500 on two children will yield radically different results. Not a fair competition at all. Is that what anyone wants? Third, and its seems unnecessary to say this…but if you just buy 3 suits a year, that’s $1500 or MORE. (Today, purchasing one of the great European suits online from the USA will cost you $900…with no guarantee of fit, durability or return-ability, and about 30% of them RIP on the first attempt to put them on…no refund, folks.) Do we really want age group and high school swimmers to have to spend that kind of money to BUY success rather than work for it? It doesn’t make our sport a middle class sport, it makes it a sport for wealthy families. Are you pooh-poohing that? Wait till your son or daughter gets beat the first time by someone whose mommie or daddie could afford a more expensive piece of plastic and rubber than you can. The bitter taste in your mouth is not fun. Not much in the way of “sport” there. The answer is no, the suit debacle is the most important thing that any of us can attend to. It preserves the heart and soul of our sport….which is reverence and appreciation for the hard work, attention to detail, courage and teamwork required to be a fine competitive swimmer and to learn to succeed with those life-skills. Instead of with your Daddy’s wallet. The Congress (not the Ruling Bureau) of FINA took the rules into their own hands after the Bureau had time and again failed to establish the rules necessary to keep our sport vital, credible and important. Bravo for them. PHOENIX, Arizona, August 2. IN A Voice for the Sport in the August issue of Swimming World Magazine, publisher Brent Rutemiller writes about a U.S. Olympic Coaches Reunion as part of the International Swimming Hall of Fame inductions. The United States has led the swimming world in Olympic gold winning performances for more than a century. To have all nine of the living USA Olympic Head Coaches in a room together would be a wish come true; Coach Stan Tinkham (’56), Coach Gus Stager (’60), Coach Peter Daland (’64, ‘72), Coach Jack Nelson (’76), Coach Don Gambril (’84), Coach Mark Schubert (’92, ’00, ’04), Coach Eddie Reese (’92, ’04, ’08), Coach Skip Kenney (’96) and Coach Jack Bauerle (08). To watch some of the greatest aquatic athletes be honored on the same weekend would be equally impressive. Wish no more… On Thursday evening, Sept. 10, at the Marriott Harbor Beach Resort and Spa in Fort Lauderdale, a Reunion Dinner of the USA-Olympic Team Head Coaches will take place. The success of these coaches will be celebrated at this time and 500 people are welcome to witness this historic moment. The American Swim Coaches Association will host the event during its 40th World Clinic. United States Swimming will be sponsoring the event and SwimmingWorld.TV will be streaming the event as a tape delayed broadcast. All of the coaches will share some of their Olympic experiences, personal insights and coaching philosophies with those who are privileged to be in the room. 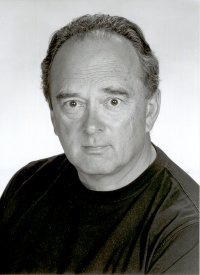 There will be an exclusive, never before seen, interview with late Coach Richard Quick, about his Olympic experiences. Richard granted SwimmingWorld.TV his last interview before he passed away earlier this year. It is a powerful interview demonstrative of Coach Quick’s passion and positive attitudes that have inspired thousands of swimmers around the world. Throughout the same weekend, the International Swimming Hall of Fame (ISHOF), based in Fort Lauderdale, will host a number of events and induction ceremonies at the same Harbor Beach Marriott Resort & Spa. On Saturday, September 12th at 7:30 pm, the 2009 ISHOF Honoree Class, consisting of 9 of the greatest names in aquatic history, will be inducted. The class includes INGE DE BRUIJN (NED) Swimmer, ALEKSANDR POPOV (RUS) Swimmer, JENNY THOMPSON (USA) Swimmer, OLGA BRUSNIKINA (RUS) Synchronized Swimmer, GIANNI LONZI (ITA) Water Polo Player/Coach, KEVIN MURPHY (GBR) Open water swimmer, IKKAKU MATSUZAWA (JPN) Coach, JUDY McGOWAN (USA) Contributor/Synchronized Swimming, and IET VAN FEGGELEN (NED) Pioneer Swimmer. Master swimmers Gertrude Zint (USA), Margery Meyer, USA. Karl Hauter (Ger) Keijiro Nakamura (Jap) will be inducted into The International Masters Swimming Hall of Fame earlier that same day at noon. Tickets for the Olympic Coaches Reunion Dinner may be purchased for $49.00 and are available from ASCA via the website: http://www.SwimmingCoach.org. A reserved table may be requested for any group of 10 attendees. Tickets are now available and can still be mailed to your home until August 15th. Tickets purchased after August 15 will be available at the Will Call table outside the event’s banquet room. Attendance is limited to the first 500 registrations, so plan to register today. Both evenings will be a wonderful reunion of old friends and a chance to make new ones. Whether you are a swimming fan, or just a fan of fantastic performances, you will be inspired by these remarkable individuals who will assemble in Fort Lauderdale for a magical weekend in September. Dave Schmidt of Alaska Masters isn’t afraid of the cold. Schmidt, 63, participated in the first annual Chena Lake Swim outside of Fairbanks, Alaska this summer. While some might have shied away from this chilly challenge, he jumped right in. Schmidt grew up a swimmer. A sprinter as an age-grouper, he loved the water. He bucked his sprinting training and experienced his first open water swim when he was a young teen. Immediately Schmidt became fascinated with the challenge and the fun of the open water. He swam throughout childhood and college, stepped away for many years, and returned as an adult. 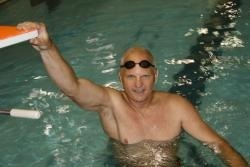 He became a member of U.S. Masters Swimming in 1973. Schmidt earned multiple degrees in environmental studies. While working toward a master’s degree in fisheries biology, he moved to Alaska to further his research. Already a Masters swimmer, Schmidt found it easy to find fellow swimmers in his new home. “There really are quite a few of us up here,” he says. He is now an environmental coordinator for the Trans-Alaska Pipeline System. The Chena Lake Swim actually took place in a new reservoir outside of Fairbanks, in a small town call North Pole, Alaska. The event included a 1K and 5K option. Swimmers of all ages participated in the inaugural event. Some participants wore wetsuits to battle the cold while others wore regular training suits. FORT LAUDERDALE – The FLA Senior Challenge at Fort Lauderdale Aquatic Complex served as a dress rehearsal for the Davie Nadadores. Thirteen members will compete in the FINA World Aquatics Championships, which are already under way in Rome with diving and water polo. The swimming events are July 26-Aug. 2. The year-old program, based at the Nova Southeastern University Athletic Center, will have swimmers from Barbados, Colombia, Paraguay, Slovakia and Venezuela competing against the world’s best teams, including the United States and Australia. Veteran coaches Tomas Victoria, a former University of Florida swimmer from Venezuela, and Alex Pussieldi of Brazil are building the foundation for what they hope will be “one of the most competitive teams in the Florida Gold Coast,” and international training base, Victoria said. “This is the most kids we have going from this team,” Victoria said. “It’s amazing and really exciting. The world championships are big. It’s always a very fast meet. They break so many world records at this meet. Cypress Bay graduate Jenny Marquez and Daniela Victoria, a St. Thomas Aquinas graduate, former Sun Sentinel Swimmer of the Year and Tomas Victoria’s daughter, will represent Venezuela in their second world championships. Tirabassi will be joined by Julio Galo, Carolina Colorado, Juanita Barreto, Jorge Murillo, Juan Cambindo, Kate Milly, Genaro Prono, Renato Prono, Favio Persano and Vaughn Forsythe. “For our younger kids these swimmers are huge role models and gives them hope for the future,” Victoria said. Sunday, the Nadadores’ Jorge Ospina, 20, won the 200 butterfly (2:03.72) and Leo Martins, 26, won the 200 breaststroke. Sophie Morgan, 20, of North Palm Beach, won the 200-meter butterfly (2:19.30); Lauren Driscoll, 15, FLA, 100 freestyle (57.06), 50 butterfly (28.64); Andy Bushnell, 21, Pine Crest, 100 freestyle (52.09), 50 butterfly (25.22); Kate Alyabyeva, 20, FLA, 200 breaststroke (2:38.10). Davie Nadadores World Team Are Ready ! Coach Tomas and Coach Alex are proud to announce that the Davie Nadadores will have 13 swimmers in Rome for the 13th edition of the World Swimming Championship.The Nadadores are Probably one of the largest contingent of athletes of any swim club in United States. Our 13 swimmers will represent 5 diferent countries: Paraguay, Venezuela, Barbados, Slovakia and Colombia.